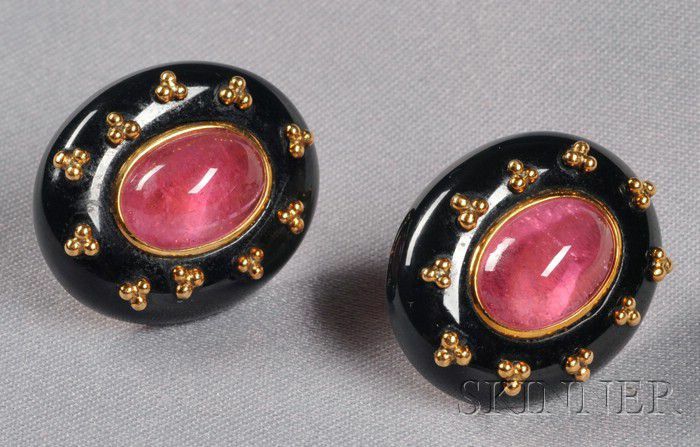 18kt Gold, Pink Tourmaline, and Black Jade Earclips, Angela Cummings, each bezel-set with an oval cabochon tourmaline measuring approx. 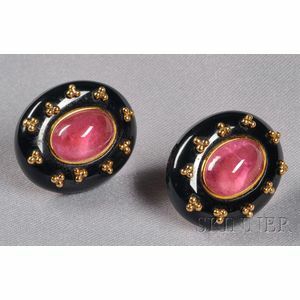 12.00 x 8.00 x 8.50 mm, black jade surrounds with gold bead highlights, signed. Clips are secure with posts. Normal wear.